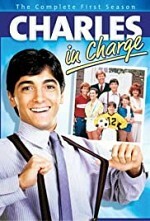 Watch Charles in Charge S2: Charles, a college student, moves in with the Powell family as the housekeeper, baby-sitter, and friend to the children. Along with his best friend, Buddy, Charles attempts to manage his life, especially college and girls, as well as tend to the family. Episode 14 - Isn't That What's Her Face? Episode 19 - U. F. Oh No!